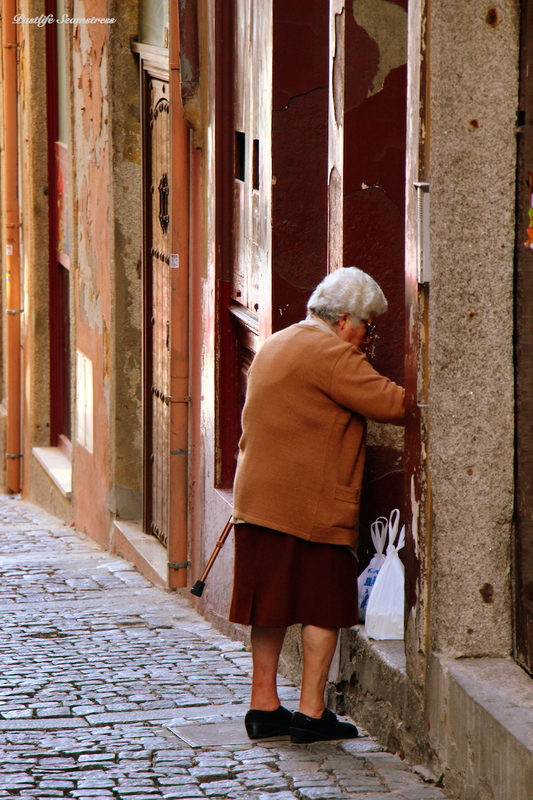 Picking up the thread left untied in the last post from Lisbon. In between lies the journey to two continents and a social experiment that’ll someday find a place here. But right now I want to take this long pending travelogue to a finish line. So there we were, not thoroughly pleased with Lisbon, catching an afternoon train that began a three hour journey to Porto through which the weather went from sunny to partially cloudy to cloudy, leading on to a drizzle thereby washing my freshly painted hopes for Porto. Arriving to an unpleasant surprise of a hotel, intensified rain and very resolutely shrill sea gull washed and squashed any hopes or plans that the drizzle might have left. An average Indian dinner at an average Indian restaurant and a documentary on NatGeo that followed helped keep out the wailing nocturnal sea gull with partial success. But there was only so much one could do. 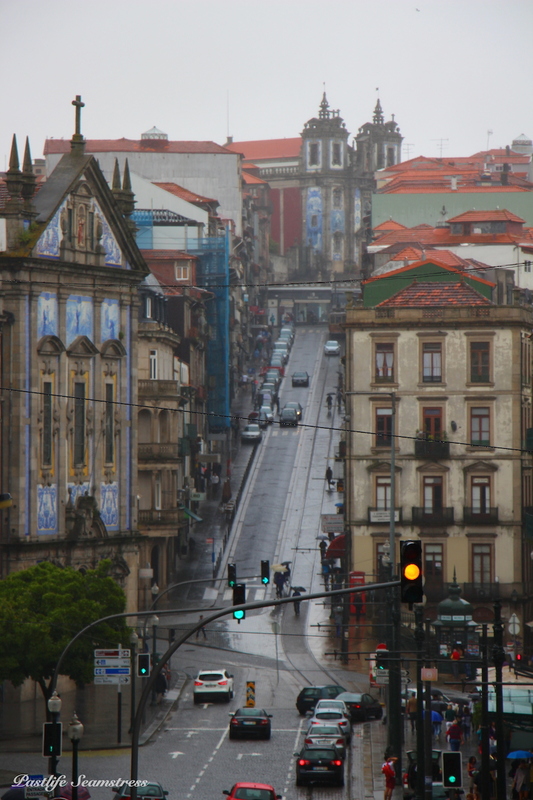 And the two days that we were in Porto seemed both plentiful and insufficient at the same time. 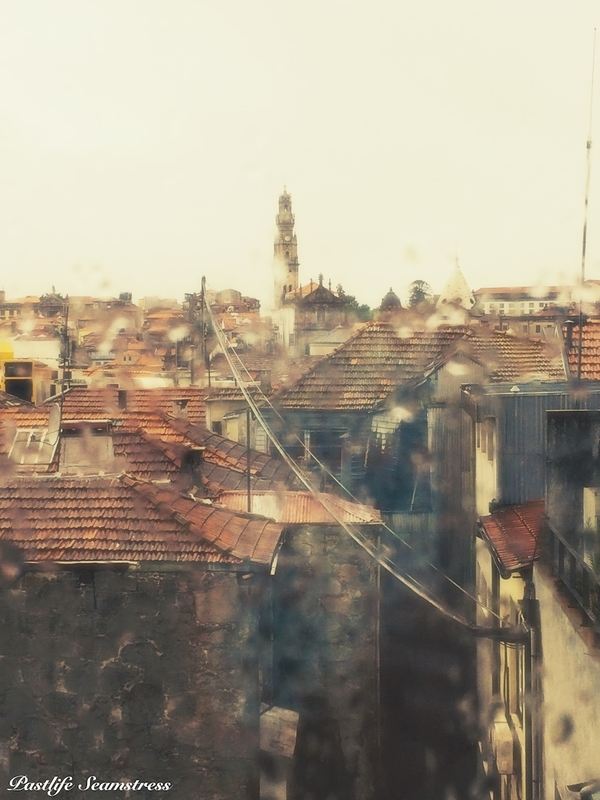 The first glimpse of the city through raindrops on the hotel window. Clérgios Tower in the background is a famous city landmark. It looks like an image worth a thousand words, almost like a painting but it wasn’t a very uplifting first glimpse of a holiday destination. It is one of the world’s most famous libraries, especially the staircase. Photography is prohibited inside and the rule is strictly enforced. Honestly, the creaky red staircase looks like the gut of a gargantuan beast hence not as great as it is pitched to be but a rain day save! 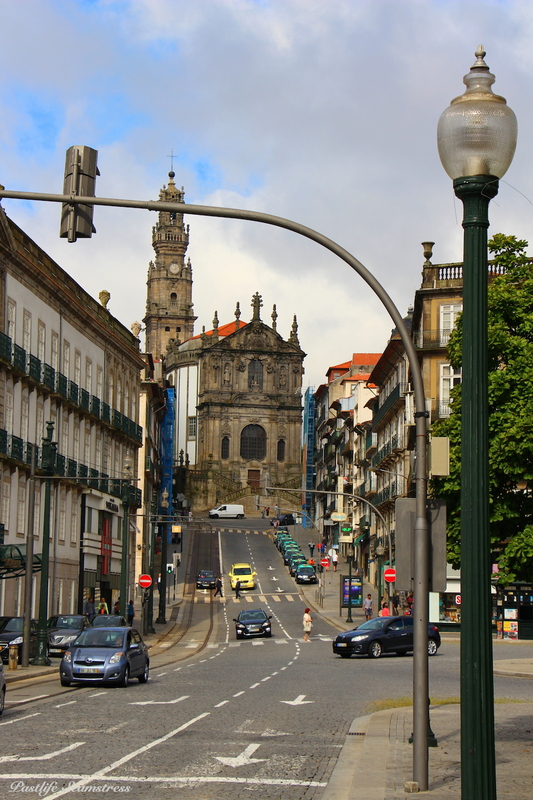 The morning, though patchy, looked promising and as if set off by a buzzer, we scaled Oporto high and low throughout the day. That’s when the following pictures were taken. Liberdade Square or Liberty Square. Sky opened up at bit. And Adi is back with his usual antics. 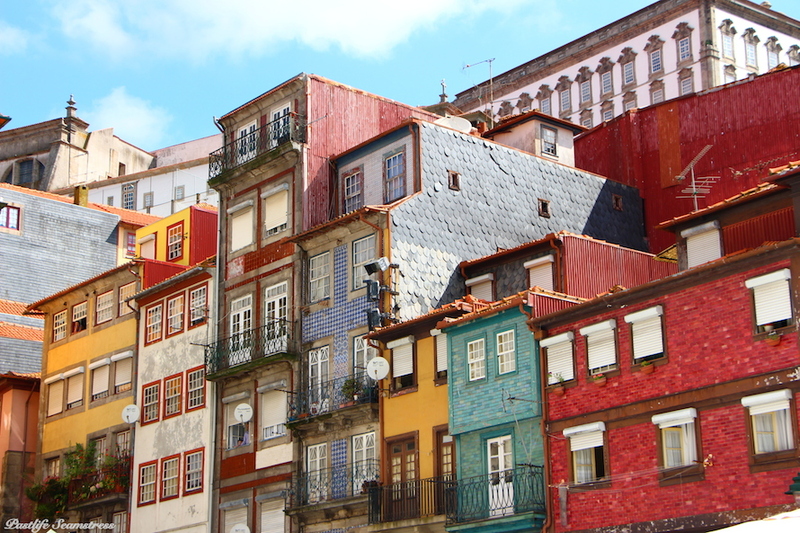 Porto is the second largest city of Portugal and a very popular destination, especially with the English and has a good variety of ‘things to do’ to suit all age groups. 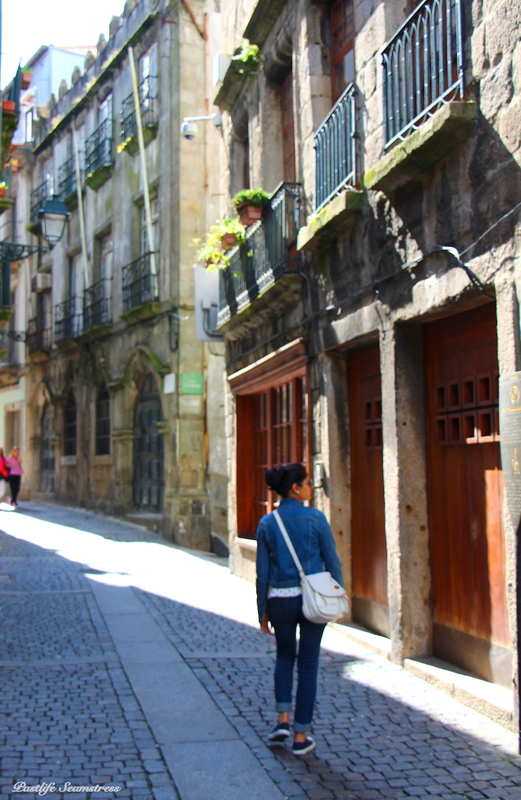 It’s historic town centre is a UNESCO world heritage site and J. K Rowling has been Porto’s one of the most famous residents. 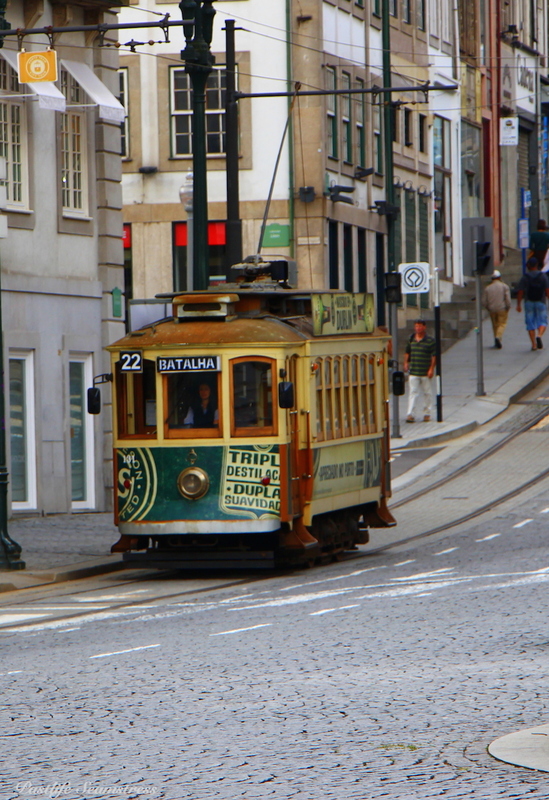 I find these old world trams so charming, it feels like picking it up & putting in the pocket!! 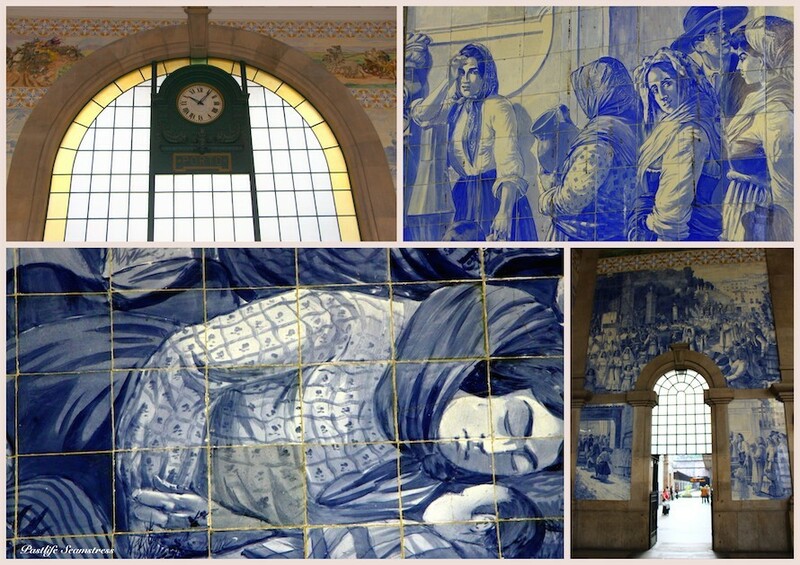 Sao Bento train station Azulejos. 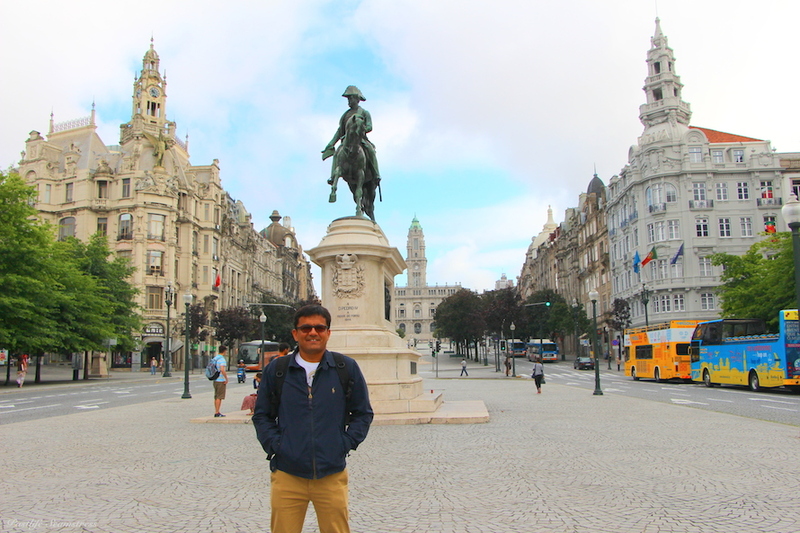 We began at Liberty Square and followed it up with Sao Bento station lest it gets filled up as the day rolls. We get the message! LOUD, CLEAR & COLOURFUL!! Btw how many flags can you spot? Don’t you think it looks typically like a town in our present day Himalayan hill stations with indiscriminate construction obscuring any sign of mountains ? It did to me. 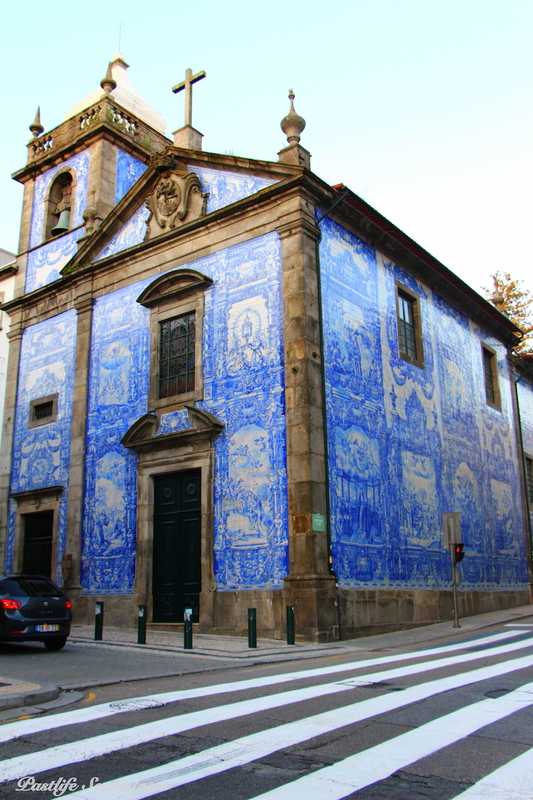 Azulene facade of Capela das Almas. On a ride of dreams! It was a Sunday and being out and about on a Sunday morning has it’s perks. The city is your playground. 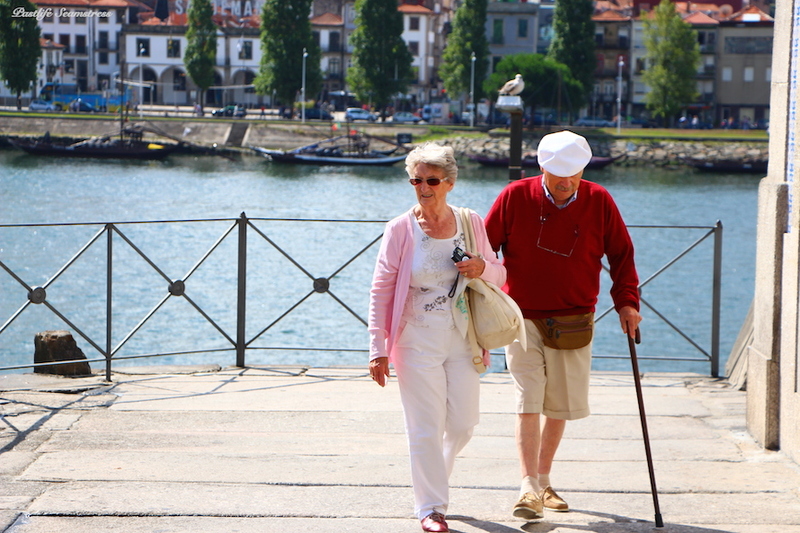 Life goals : Grow old together and keep globe trotting!! 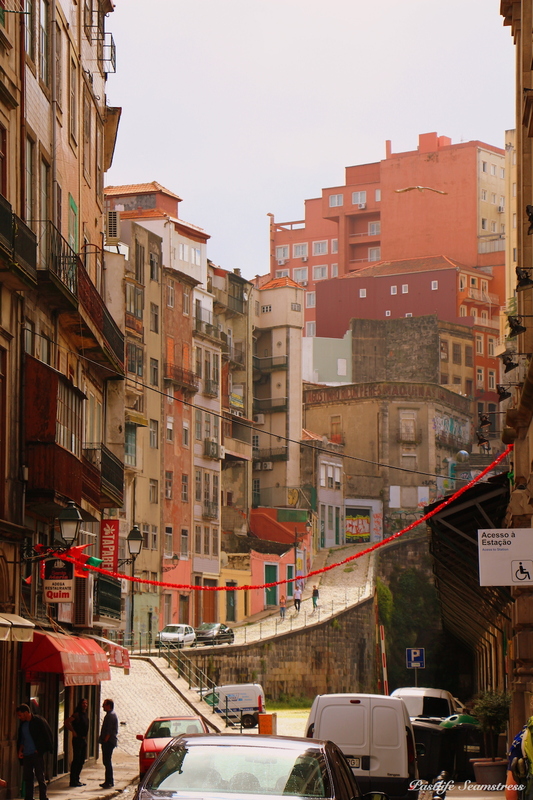 Apartments like a box of crayons at Cais da Ribeira or Ribeira neighbourhood. 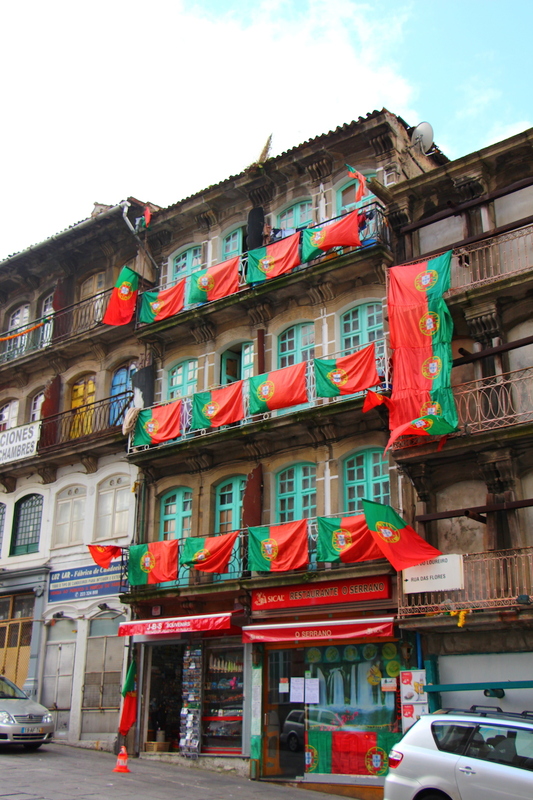 Known for it cafes and colours. As did the curtain of grey clouds fall on such bluest sky yesterday so did it rise to the finest of blues revealing a crisp day underneath. 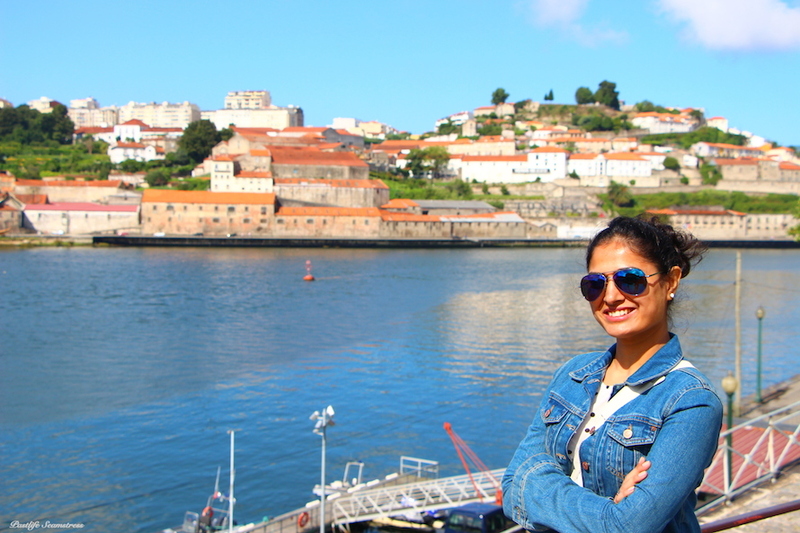 By river Douro, life and blood of Porto. 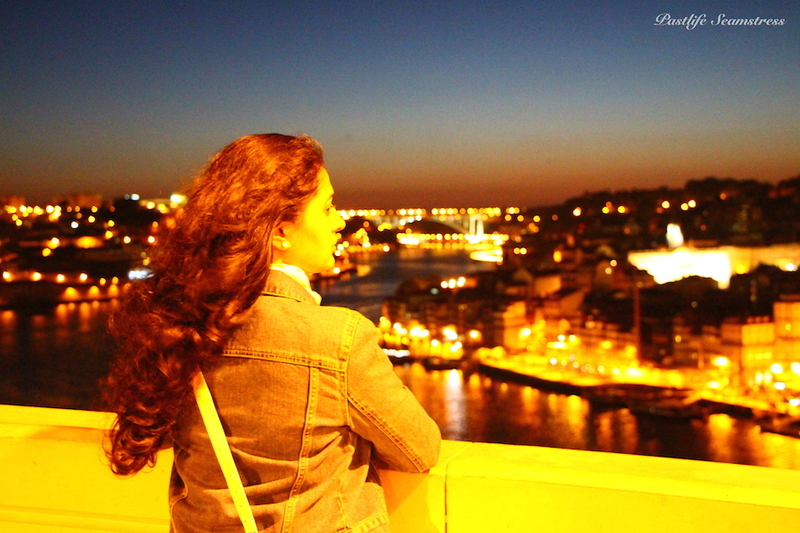 Dom Luis Bridge. 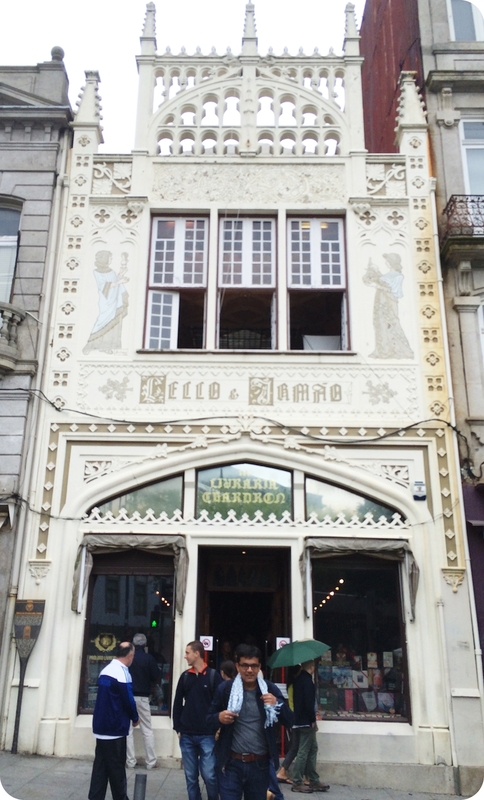 Perhaps Porto’s most famous landmark. It’s a double decker bridge with road traffic on the lower deck and electric tram plus pedestrians on upper deck. First of a kind that I saw. 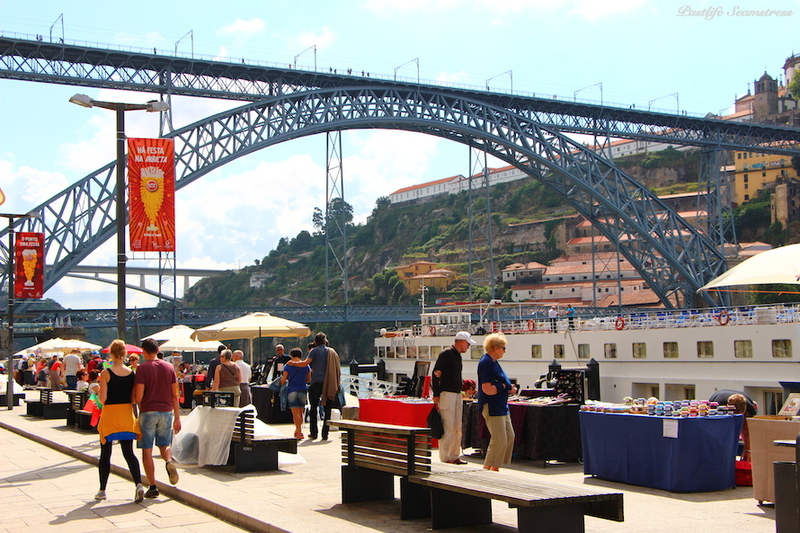 Under Dom Luis Bridge is a spread of a mini flea market with local crafts on display including jewellery, crochet and other knick knacks. This is as lively as the city gets. Oak barrels with Port wine in the the boat. 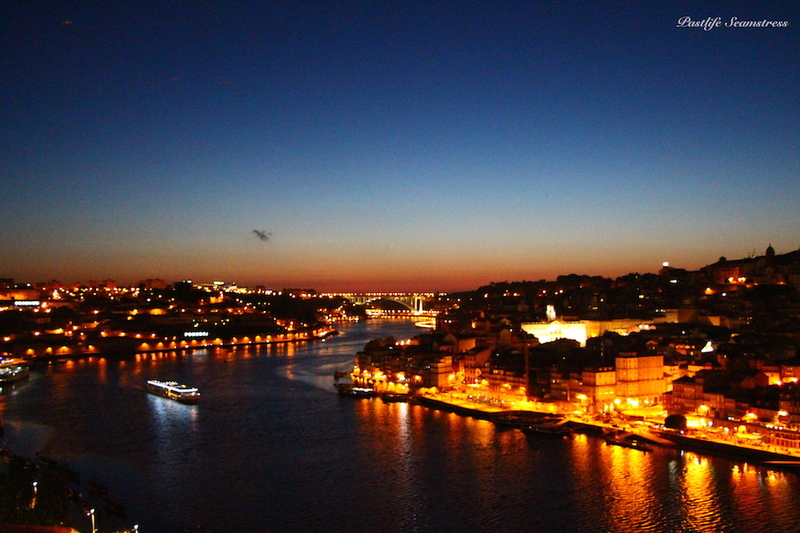 Port wine or Duoro wine takes its name after this city and comes exclusively from the vineyards of Duoro valley. 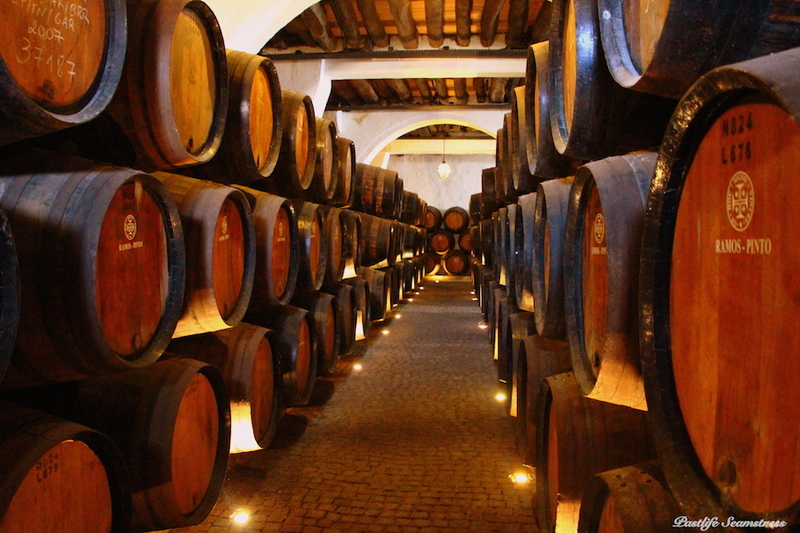 Oak Barrels in Wine cellar or lodges. You can take a wine tasting tour with one (or more) of the many manufacturers located on the Gaia hillside which includes a tasting session and a short tour of the process of Port wine making. 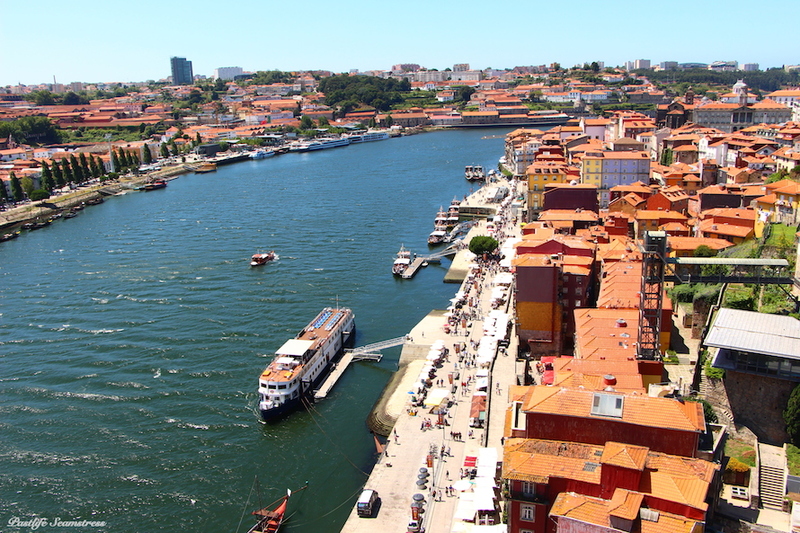 Take a very steep funicular dos Guindais to reach the top of Dom Luis Bridge and the views are so spectacular. 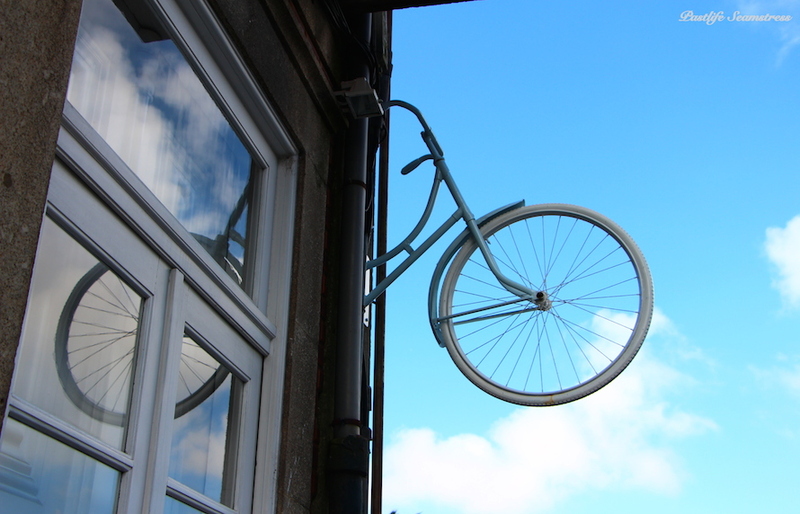 You’d find yourself amply greeted with wind and hard to tear away from views! 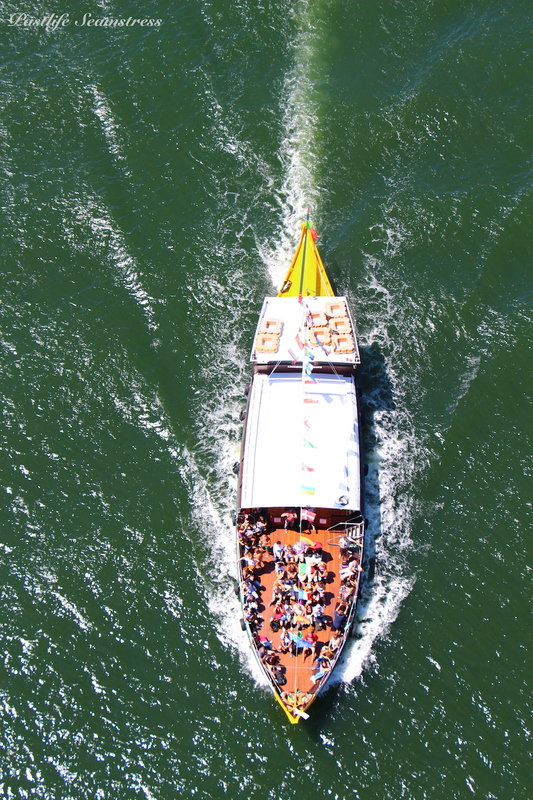 Taking a Duoro river cruise might also be a fun activity. The cruise goes by day and night and involves wine, dine and views. 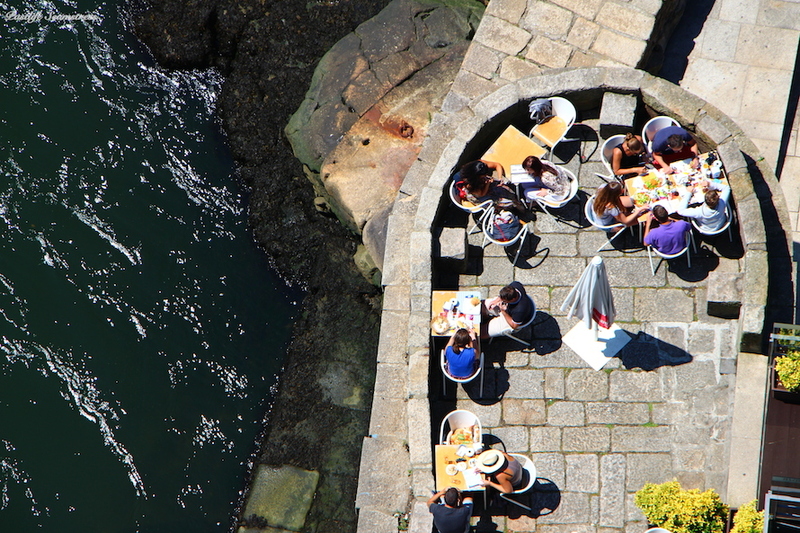 Eating by Duoro soaking the sun and sipping the port wine could add up to a memorable afternoon. It was very gingerly, that I managed to look down, I was scared to even hold the rails too firmly!! Looking away felt much better. What I beheld was beautiful enough to mollify my acrophobia. 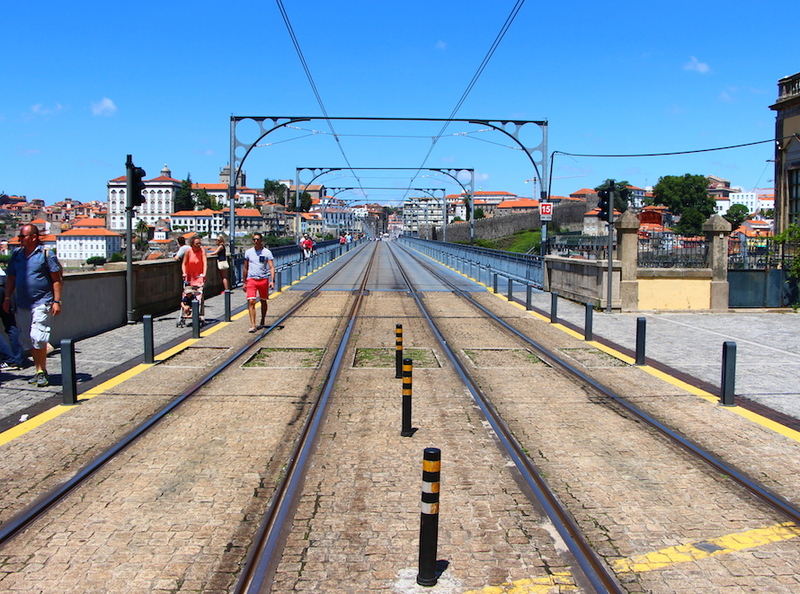 The electric train tracks that run on the upper deck of the bridge. 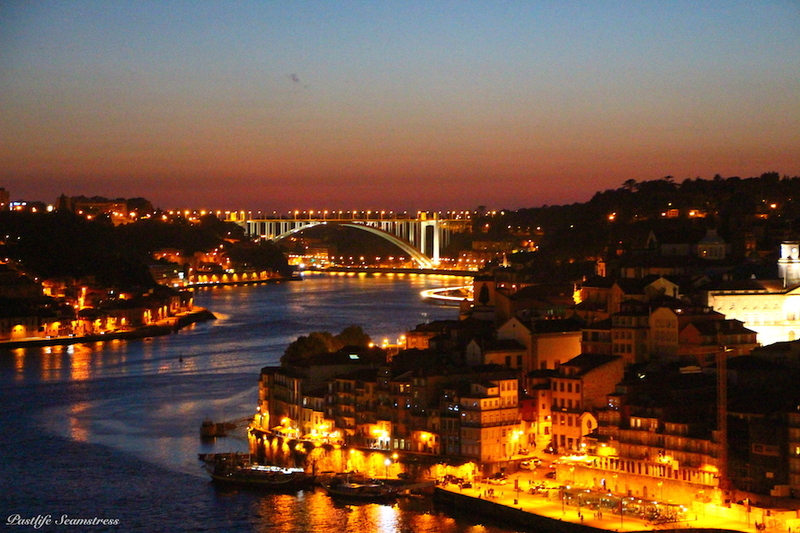 Porto looks prettier by manifolds at night. 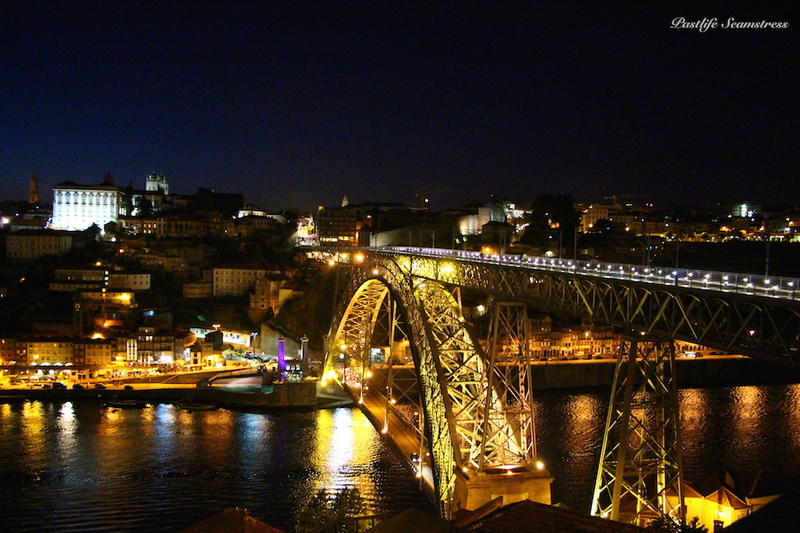 Dom Luis Bridge. If it’s framework reminds you of Eiffel that’s because it’s architect partnered him. Although we were done with walking for the day, we did go back to the bridge to take in these sights and we’re glad we made that effort. 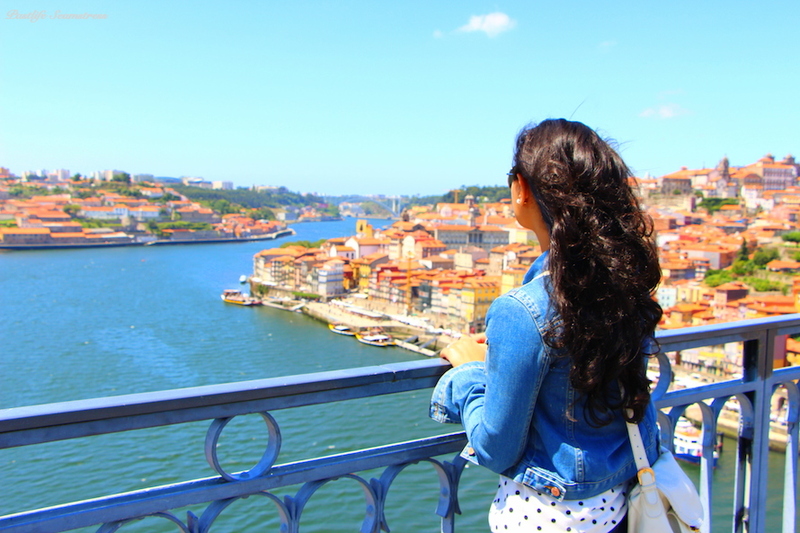 We definitely liked Porto better than Lisbon! 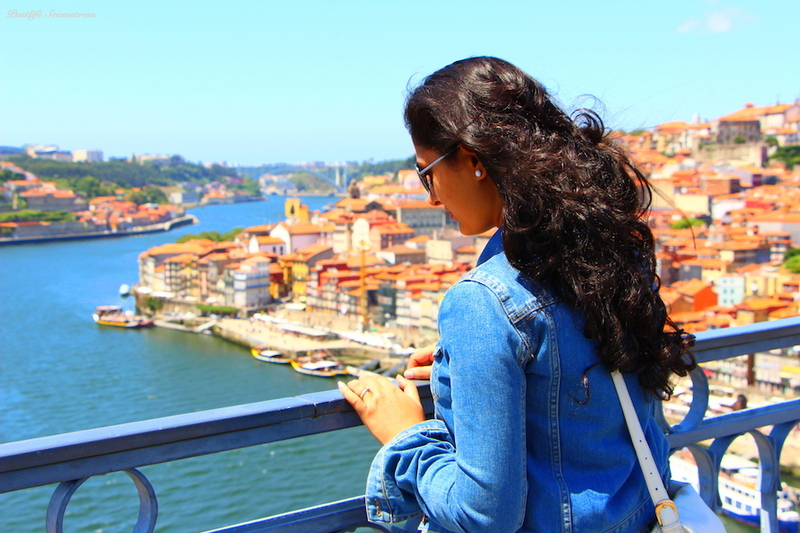 All in all Porto is a beautiful destination, very picturesque, wallet friendly and with quite a lot to be covered for a short stay. We definitely prefer it to Lisbon but we’re not ready for a ‘redo’ any time soon. 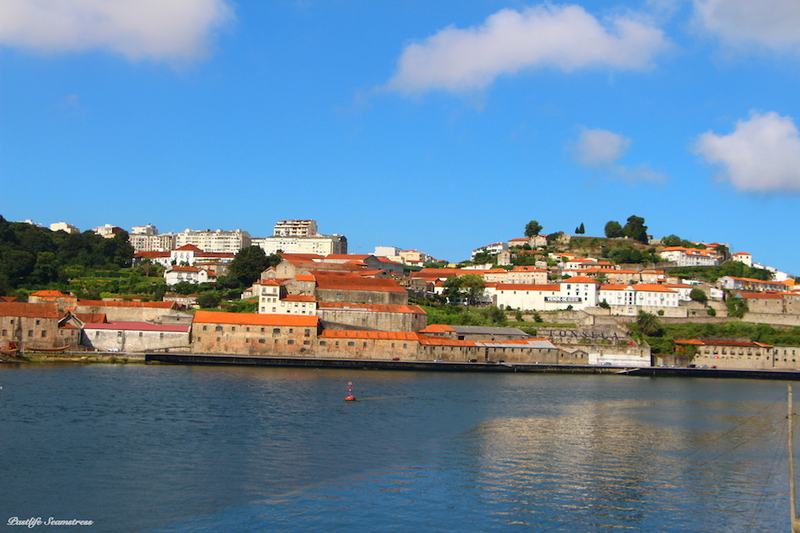 Besides all the above things there’s a Sea World with activities for people travelling with children, Sao Francisco church, Foz – where you can taste the Atlantic and some high street shopping as well and if you’re a Port and sea food lover, you’ll be wallowing here! 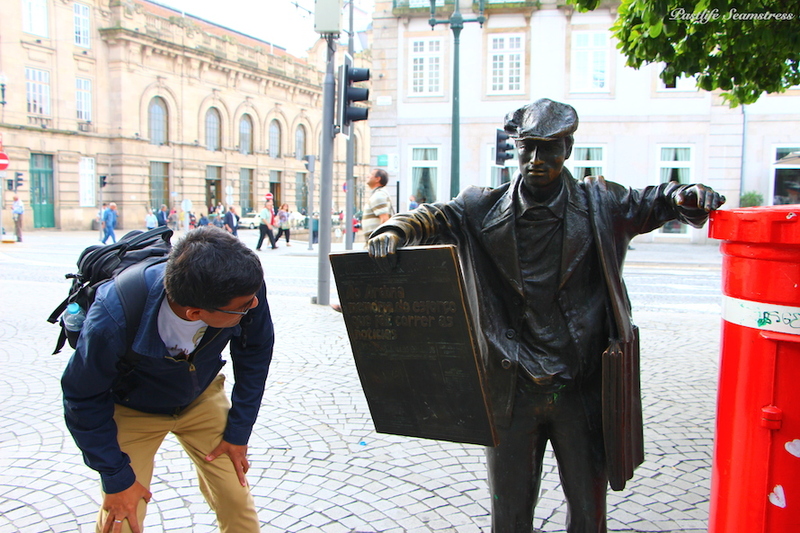 We travelled to Porto via Lisbon in July 2014. 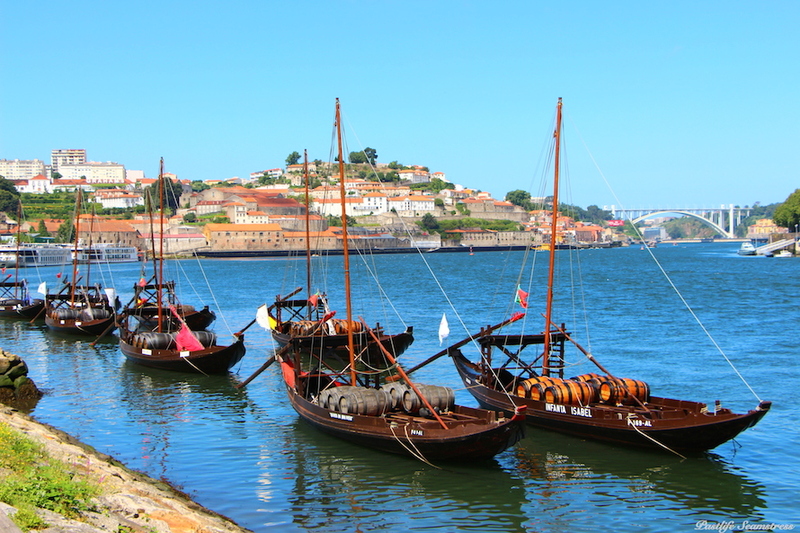 Additionally, Duoro Valley tour can be done, especially if you haven’t toured any vineyards before. It’s a UNESCO World Heritage Site and breathtakingly beautiful as many vineyard valleys are. Lovely Place, Lovely People, Awesome Wine, Blue Heaven & Blue waters…. A bowl full of fruit amidst woods, a book & a violin, What else a man needs to become a poet!!! Love to read your posts Nikita!.. Though I missed out on many…hopefully , I will catch up.,..very well written… Superlike!! 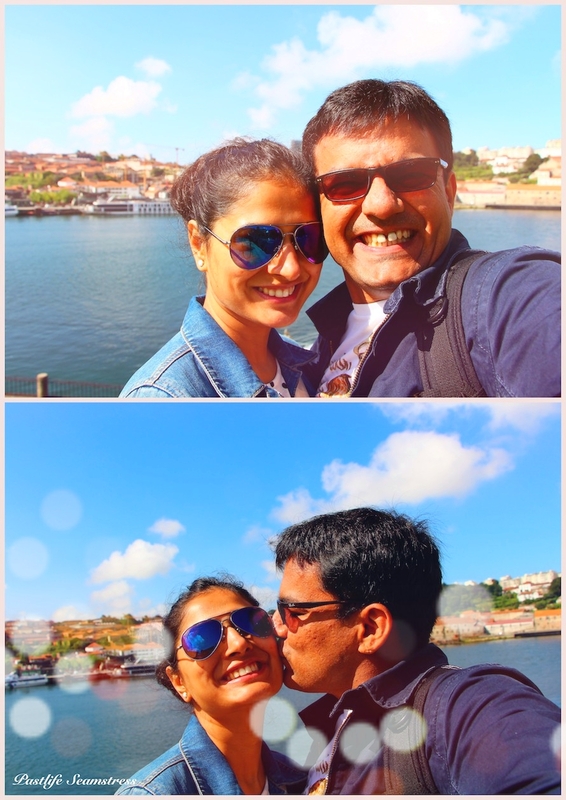 Marvellous murals,colourful buildings,bluest sky,beautiful river,wine and dine —-all making it a perfect destination.Both are looking great.be blessed and keep rocking.waiting for your next post.